When the Great Storm of 1900 battered Galveston, Texas, the town simply lifted itself up—in some places, as much as 17 feet (click on the slideshow above for images from the rebuilding efforts). Could a similar approach save cities today? Randy Behm of the U.S. Army Corps of Engineers and Dwayne Jones of the Galveston Historical Foundation talk about the costs and feasibility of raising a town, albeit with better technology than Galveston’s hand-cranked jacks and mules. 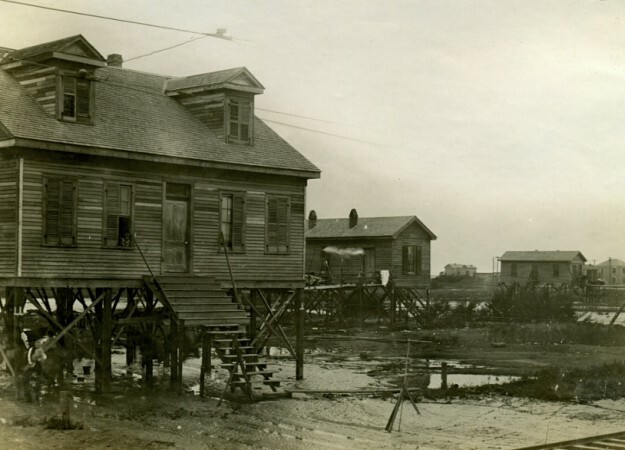 After the Great Storm of 1900 hit Galveston, Texas, thousands of buildings were raised on stilts. Some homeowners took the opportunity to make improvements on their houses and properties. This house, which sits 10 feet in the air, received a new porch and fence. 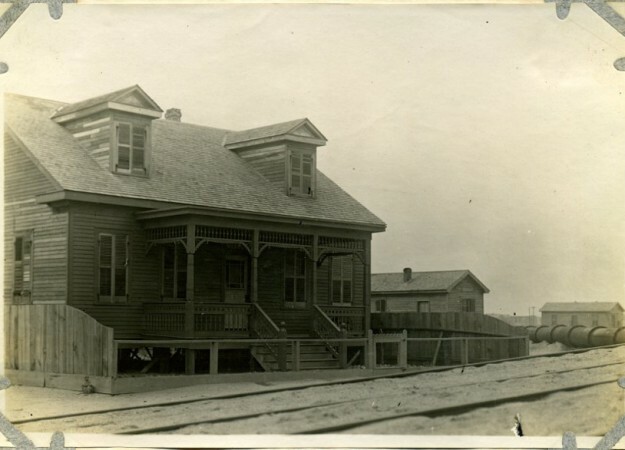 Look closely, and you can see a child peering out of a window while a man (far left, bottom) holds a toddler as he leans against one of the piers supporting the house. Text adapted from Galveston: A City on Stilts, by Jodi Wright-Gidley and Jennifer Marines, Galveston County Museum, p. 68. Courtesy of Galveston County Museum, Galveston, Texas. The finished house. Courtesy of Galveston County Museum, Galveston, Texas. 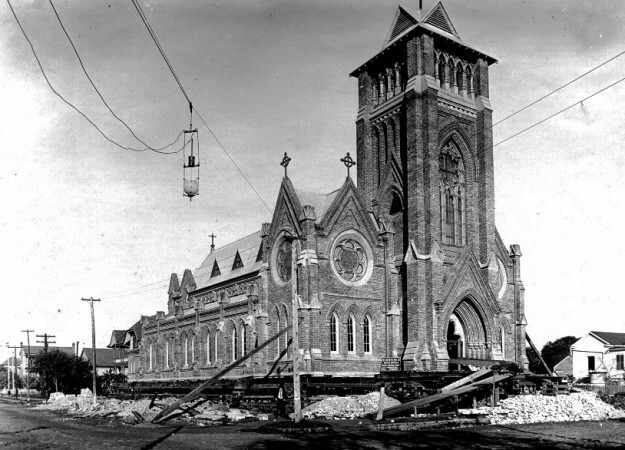 St. Patrick’s Catholic Church, located at Thirty-fourth Street and Avenue K in Galveston, Texas, sustained a great deal of damage during the Great Storm of 1900. The tower collapsed through the building, and the interior was ruined. After repairs to the building were made, it was raised five feet using 700 jack screws. One hundred men worked to raise the church, one-half inch at a time, for 35 days. Once the correct height was reached, a new concrete foundation was poured. The H. Sheeler Company of Chicago accomplished the feat without cracking the main walls or damaging the interior. Church services continued throughout the whole process. At 3,000 tons, it was the largest of the 2,156 structures raised during this period. Text adapted from Galveston: A City on Stilts, by Jodi Wright-Gidley and Jennifer Marines, Galveston County Museum, p. 69. Courtesy of Galveston County Museum, Galveston, Texas. Dwyane Jones is executive director of the Galveston Historical Foundation in Galveston, Texas. Randy Behm is chairman of the National Nonstructural Flood Proofing Committee for the U.S. Army Corps of Engineers in Omaha, Nebraska.